iflix, the streaming service for emerging markets, has shared its latest milestone – 10 billion minutes streamed across its platform in 2017. 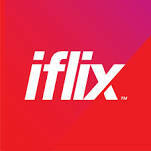 The achievement, equivalent to more than 19,000 years of content streamed, marks a strong uptake in user engagement, with cumulative viewing minutes up well over 400 per cent from three billion total minutes streamed at the end of 2016. iflix also maintains one of the highest active mobile viewing durations of any service globally, with an average of 2.5-2.75 hours per session. The company’s localised content strategy focusing on first-run local movies direct from cinema and a bold slate of original programming has shown the largest gains in viewership, with its local and regional offerings and hyper local Originals accounting for a substantial portion of its viewership numbers. The iflix app also recently surpassed 12 million downloads from Google Play and Apple iOS stores.